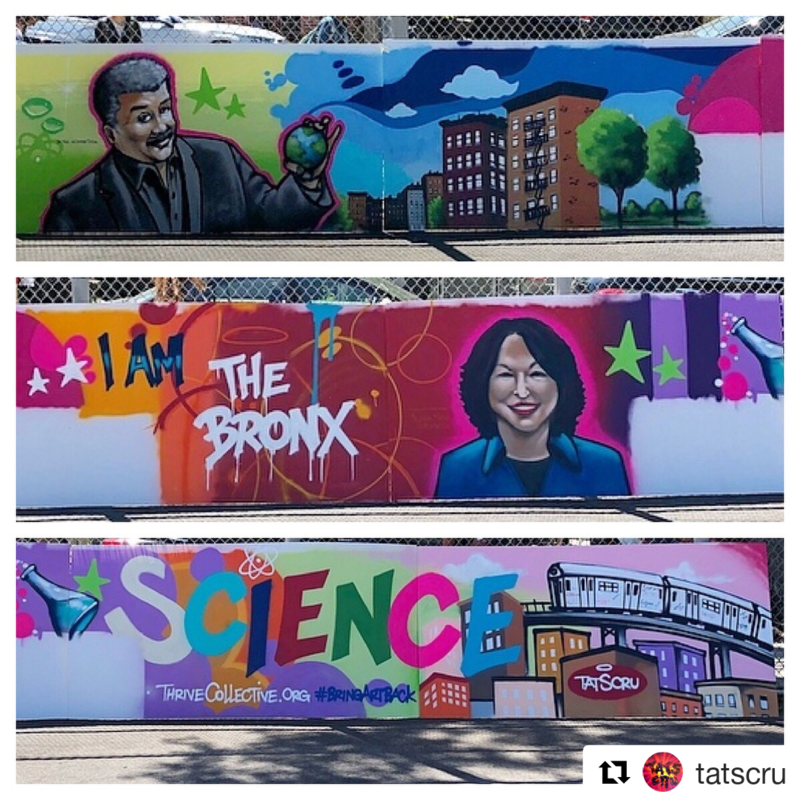 History was made again this week, when the Tats Cru a/k/a The Mural Kings joined forces with Thrive Collective for the “I Am The Bronx” school mural at JHS 123. It was a homecoming of sorts for Bio, Nicer, and BG 183, who grew up in the school’s Soundview neighborhood and began muraling together in the early 1980s. 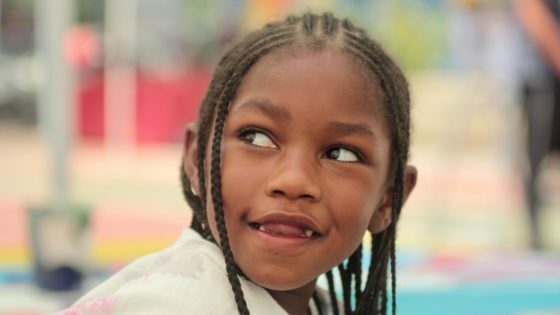 As a boy, Nicer literally lived down the block from the school, and they attended early hip hop jams with Afrika Bambaataa and Grandmaster Flash in the school’s gymnasium. Here’s an Instagram preview of the portfolio to come.